H. J. Nick, born in California in 1949, is a world-class American fine art furniture and architectural element designer based in Scottsdale, Arizona. He studied at the University of California-Berkley in San Francisco Architecture/Engineering, and in Rome, Italy, and Florence. H.J. Nick has designed and redesigned some of the worlds best Grand Entrance Doors, Estate Gates, Furniture, Lighting and Hand Forged Hardware as depicted on these web pages here in for the past 40 plus years. Building on and improving upon his families traditions or immigrant fore fathers that were the unsung hands on masters that were never given the real credit due for the work produced under the name of the Architects who today are celebrated for this production. H.J. Nick works in tribute of these hard working men and women that did the hard hands on job putting in long days to provide these luxuries for the aristocracy or wealthy of their time wile seeking out a meager living with little recognition for these efforts. Today H J Nick believes his designs need to be affordable to every one with out compromising the integrity of these American made designs built to last forever. Upon returning from Italy, H.J. Nick apprenticed in the family run furniture business, Marbella Brothers. His grandfather, Joe Marbella Sr., was known for his master craftsmanship working under the Pasadena, California architects Greene and Greene, and the architectural firm Adler & Sullivan, working directly for Frank Lloyd Wright. H.J. Nick has been operating his own business of fine art furniture and architectural elements manufacturing since 1975. H.J. Nick is a strong believer in American craftsmanship. He and his family are committed to the advancement of the fine arts through high quality American craftsmanship. Designing and building custom furniture and furnishings by hand using old world techniques, high quality American all natural materials, and skilled master craftsmen, he ensures his customers are provided with a future antiquity quality product, and a worthy family heirloom to pass down through the generations. H. J. Nick and Scottsdale ArtFactory.com believe in creating the world's most beautiful fine art furnishings, doors, lighting, etc., through the practice of age old, tried and tested, original hand craft methods used by true master craftsmen worldwide, along with using the finest natural raw materials and fine finish processes with traditional and unique designs. They strive to fully educate their dealer representatives, potential customers, and future master craftsmen in the creative process. They also believe in full transparency, providing the correct information or sources that allow the facts about how each product is made to last forever, and product evaluation without bias or sales hype. All creative people are dependent upon the groundwork laid down by those who came before them. 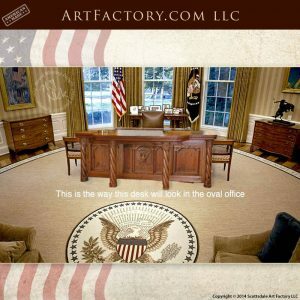 H. J. Nick, artist and direct descendant of the Marbella Brothers, and ArtFactory.com have built on these foundations and have raised the bar of quality even higher, thus setting a new standard and offering the finest one-of-a-kind handmade furnishings found anywhere in the world in the 21st century. "Through the sharing of knowledge and experience, we advance the arts and enrich mankind's high cultural environment." H.J. Nick's philosophy is you must know your history in order to know where you're going, and that a man and/or company is only as good as their word. He believes in delivering true value to his customers. He never takes an order because of profit only. It is important to him that each customer enjoy the products, and understand and appreciate the true art value and pride of ownership with these fine art furnishings. He never allows his company to accept an order from anyone based upon profit. In fact, every person under his direction is instructed to not accept orders from persons that do not respect the labor intensive process, or will not allow us time to build each piece correctly. No matter the promise date he will not sign an item for delivery that's not correct. This does not mean they do not respect their customer's delivery dates. It means he believes it is worth the additional time to make each item ordered as perfect as humanly possible prior to delivery. This is family tradition and a source of great pride. They only build products that will become cherished family heirlooms and future antiquities that will increase in value over time. and offers his time and facilities, non profit, in association with major universities' architectural departments, allowing for the exchange of knowledge, for hands-on training working with his world class master craftsman, allowing these students the ability to gain hands-on, real world experience in creative design, as well as bench time. He does this all for the advancement of the American Arts and Crafts Movement. H.J. Nick and his family are committed to the advancement of the Fine Arts through American Craftsmanship. H.J. Nick and ArtFactory.com, through a not-for-profit foundation, make it possible for many individuals whom would possibly never be afforded the opportunity to learn world class fine art craftsmanship such as blacksmithing, furniture making, hand carving, stone smithing, leather working and many other fine arts associated with the creation of world class fine art family heirlooms, to learn through an 'earn as you learn' apprentice program. Many of these student programs are in association with related major universities' curriculum's. Many of these apprentice students have become world class artisans in their own right. Over the years, through this program, many of his students have either become master-craftsmen and continue to work directly for ArtFactory.com, or have become independent artists and master-craftsmen. H.J. Nick believes that through Master Craftsmanship and Fine Art, family heirlooms are a major tangible way families can stay connected to their history. He further believes that family history, memories, and the connection to important furnishings and artifacts used in many family functions or made specifically for family members, add much strength and happiness to the fabric of a family much in the same way fine art, landmarks, icons and historic buildings, etc., mark our collective history. He also believes this is lost in today's world of throwaway low quality furnishings, artifacts, art, and fast paced lifestyles. He is a strong believer that true wealth is the quality and sum total of our experiences through love and affection for family - not the collection of meaningless monetary wealth with no focus on the age old concept of the family heirloom. It is a historical fact that all of our cultural history, and the story of mankind, is deeply rooted in the hand made quality artifacts of our society and cultures of the past. In an interview with a national home and garden magazine, H.J. Nick describes his style as a master craftsmanship "process" and not a particular style. His work blends vintage style furniture from all over the world across many millennia into furniture, doors, lighting, and hand forged hardware - combining new technology while staying true to age old hand crafted techniques and natural materials. He is a staunch believer in American handmade products and never outsources production. Even though his client list reads like a Who's Who in the world, H. J. Nick believes that each custom furnishing design should stand on its own merit. He says he will never disclose his individual client list due to one-of-a-kind creations, and protecting the anonymity of his clients. His interior designer clients reportedly include many well known interior designers, past and present, beginning with some of his grandfather's clients such as Elsie de Wolfe, Syrie Maugham, Dorothy Draper, and Sister Parish, along with current designers such as Michael S. Smith, Cho Hee-Sun, Michelle Workman, Ron Dayan, Jeff Andrews, and James Swan to mention a few. Architectural Digest, Cowboys and Indians, Elle Decor, Town & Country, Decor and Style, Boise, Arts and Crafts Homes, House Beautiful, House Magazine, Better Homes and Gardens, and many more.